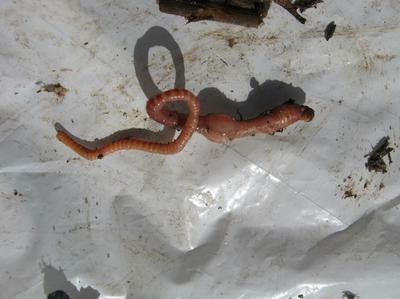 I have been involved in worm composting for many years now and worked mainly with Eisenia Fetida worms and more recently with Dendrobaena Veneta worms. I hardly ever had problems with my worms and have recycled large amounts of kitchen- garden- and animal waste with the help of my worms. Recently I moved to Germany and ordered 2 batches of worms. I started both batches more or less the same way I had been doing for years now and after just a few days I experienced massive problems with the worms especially the Eisenia fetida's. While I noticed just an occasional Dendorbaena veneta worms being bloated like a long balloon or disfigured mostly around the clitellum, I had massive losses of Tiger worms (Eisenia fetida) with many of them looking like a String of pearls, or parts of there bodies fallen off or completely dissolved. 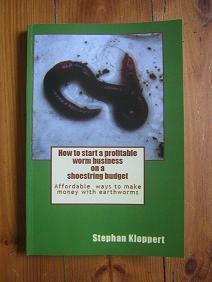 I've started hundreds of worm farms and raised millions of worms and never experienced similar problems before and my research on the Internet didn't bring much light into the cause of those diseases and deaths of the worms. Many people all over the world have apparently experienced similar problems with their worms but no one had a convincing explanation about the cause and treatment of those diseases? Many attributed the "String of pearls" effect in worms to "protein poisoning" which didn't satisfactorily explain the situation. In my observations it seems to be clear that the worms are struggling to digest their food properly which could lead to the production of gas inside their bodies and possibly the explosion of some of the worms segments!? 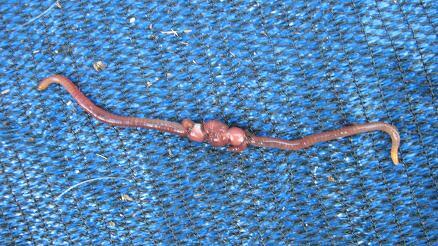 My question is if your earthworm research group has any information about the diseases that the above mentioned earthworms can get and in particular those that I have described. 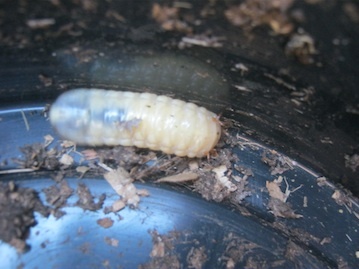 Any assistance from your side could be most useful to thousands of passionate worm composters which I would gladly share on my website free of charge. I am looking forward to hear from you and any assistance would be very much appreciated. 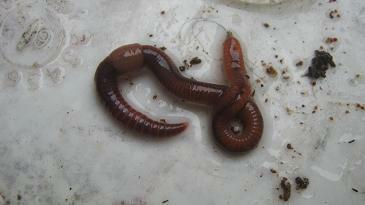 Comments for Earthworms are dying! String of pearls disease? nice to hear from you. You are writing to me at the right time as I am at the moment in the process to work and publish another article about the subject of the dreaded string of pearls disease. Please just be patient for a few more days and I will inform you once I published the update on this subject. The good news is that I raised Eisenia fetida worms for 20 years now and that it is very rarely happened that a batch of worms got sick. One piece of advice I like to give you in advance, regularly let some fresh air into your worm bin and test the pH levels of the worm bedding. 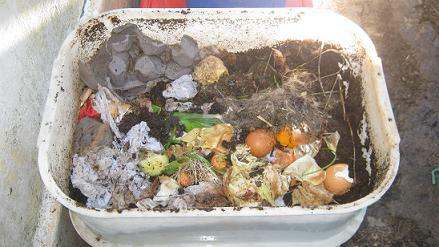 If it is becoming to acidic, add some crushed eggshells to the surface of the worm farm to counteract the acidification. I read with interest you blog on string of pearls disease, and wonder if you have any more information on the subject. I have been growing Eisenia foetida for 8 months now, and I am stuck by the lack of information on diseases/syndromes of composting worms. 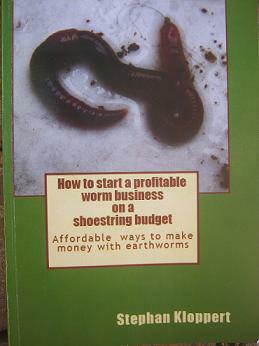 Can you recommend any authofitavice books or articles that deal with worm diseases please? I love growing these worms and wish to raise a healthy lot! Thank you so much for reading this and look forward with anticipation to your comments.